I was still an intern at that time and, back in the day, the support for bare-metal development in GPS was a bit minimalistic: daily activities like flashing and debugging my own firmware on the Crazyflie were a bit painful to do without having to go outside of GPS. This is not the case anymore. GPS now comes with a number of features regarding bare-metal development that make it very easy for newcomers (as I was) to develop their own software for a particular board. Building your modified software in order to flash it or debug it on a board is a very common workflow in bare-metal development. GPS offers support for all these different steps, allowing you to perform them at once with one single click. 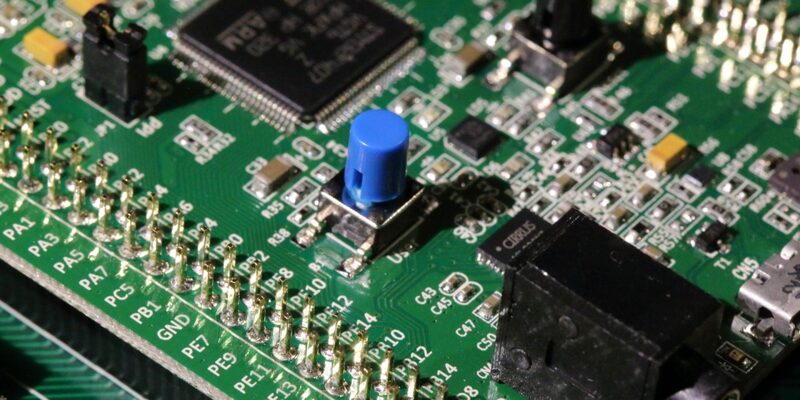 When it comes to bare-metal development, flashing and debugging your project on the targeted board is already a pretty advanced step: it means that you have already been able to compile and, above all, to link your software correctly. The linking phase can be a real pain due to the limited memory resources of these boards: writing software that does not fit in the board’s available memory is something that can happen pretty quickly as long as your project grows and grows. Having a complete report of the memory usage consumed at each level makes it very convenient to identify which parts of your software are consuming too much memory for the available hardware ressources. This is the case in the example below, where we can see that the .bss section of our executable is just too big for the board's RAM, due to the huge uninitialized array declared in leds.ads. Bare-metal development support has been improved greatly in GPS, making it easier for newcomers to build, flash and debug their software. Moreover, the Memory Usage view allows the bare-metal developers to clearly identify the cause of memory overflows. We don't want to stop our efforts regarding bare-metal development support so don't hesitate to submit ideas of improvements on our GitHub's repository! Anthony Leonardo Gracio is a software engineer at AdaCore. He joined AdaCore in 2015 after he got an engineering degree at EPITA, an engineering school in Paris. He is currently working in the GPS (GNAT Programming Studio) team.